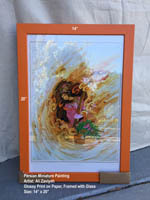 This is a beautiful Art Print from a famous Persian painting by Master Iranian miniature artist, Ali Zaviyeh. 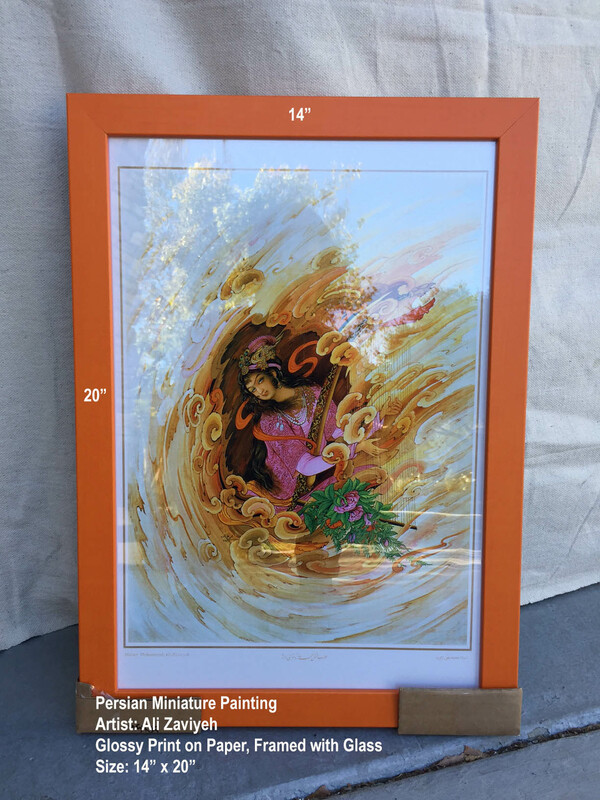 Printed on high quality photo paper, placed inside a nice orange frame with protective glass. It will look great on your home or office wall. One of a kind!